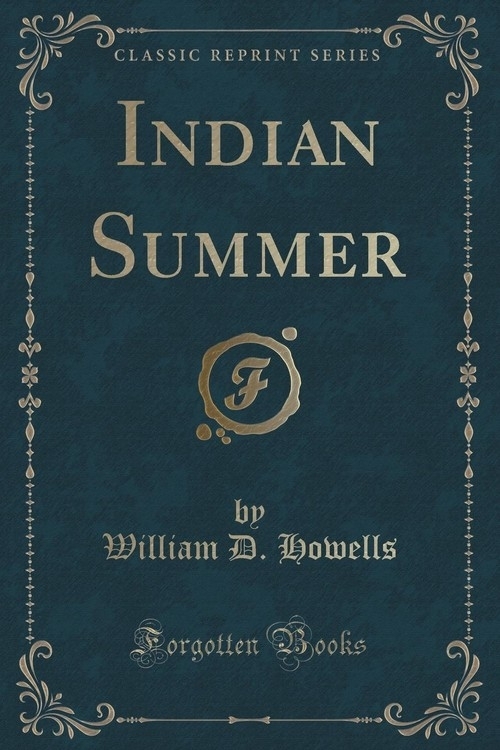 Opis: Indian Summer (Classic Reprint) - Howells William D.
Midway of the Ponte Vecchio at Florence, where three arches break the lines of the little jewellers' booths glittering on either hand, and open an approach to the parapet, Colville lounged against the corner of a shop and stared out upon the river. It was the late afternoon of a day in January, which had begun bright and warm, but had suffered a change of mood as its hours passed, and now, from a sky dimmed with flying grey clouds, was threatening rain. There must already have been rain in the mountains, for the yellow torrent that seethed and swirled around the piers of the bridge was swelling momently on the wall of the Lung' Arno, and rolling a threatening flood toward the Cascine, where it lost itself under the ranks of the poplars that seemed to file across its course, and let their delicate tops melt into the pallor of the low horizon. Szczegóły: Indian Summer (Classic Reprint) - Howells William D.
Recenzje: Indian Summer (Classic Reprint) - Howells William D.